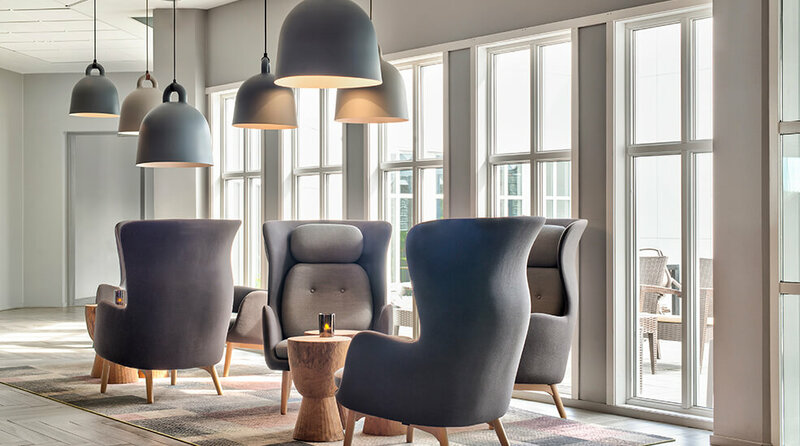 The Quality Hotel Skjærgården has a partnership with Nr1 Fitness, a fully equipped gym with cardio and weightlifting machines that also offers classes. In addition to this, guests can use Skjærgårdshallen, a sports and events centre, which has football pitches, indoor sports facilities, a climbing wall and more! At Badeparken, guests can enjoy a sauna, a steam room and three jacuzzis. There's plenty of opportunity to just sit back and relax after nice swim in the pool. In fine weather, you can recline on the sun loungers with a refreshing drink and a good book, or simple admire the lovely sea view! Nr1 Fitness is within easy reach of the hotel. Simply get a gym card from the reception and you can use the gym whenever you like. Check the timetable for class times. The gym is fully equipped with cardio and weightlifting machines. Skjærgårdshallen is a large sports and events centre located right next to Nr1 Fitness. Skjærgårdshallen has a handball pitch, football pitch, climbing wall, gym and running track. As we work have a partnership with Skjærgårdshallen, we can offer a range of exciting options to sports teams, anyone arranging tournaments, companies looking for team-building exercise programmes, or friends who want to exercise or climb together. Just let us know what you have planned and we'll put a great package together for you.